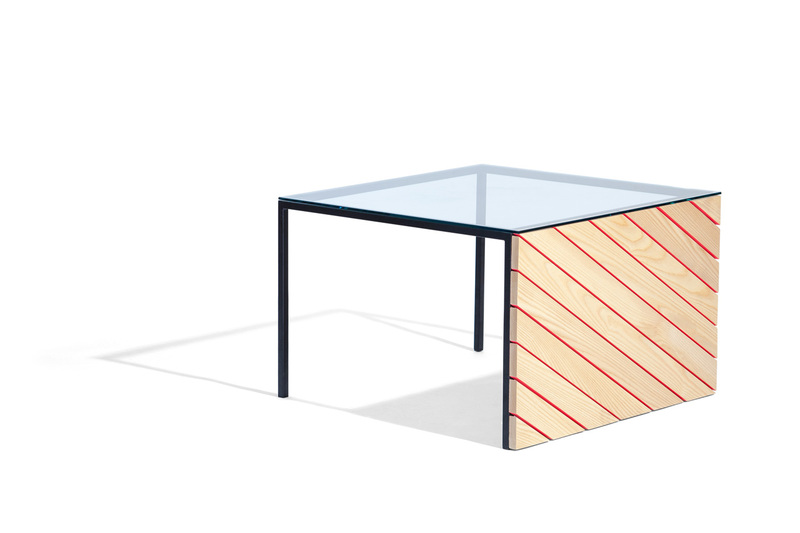 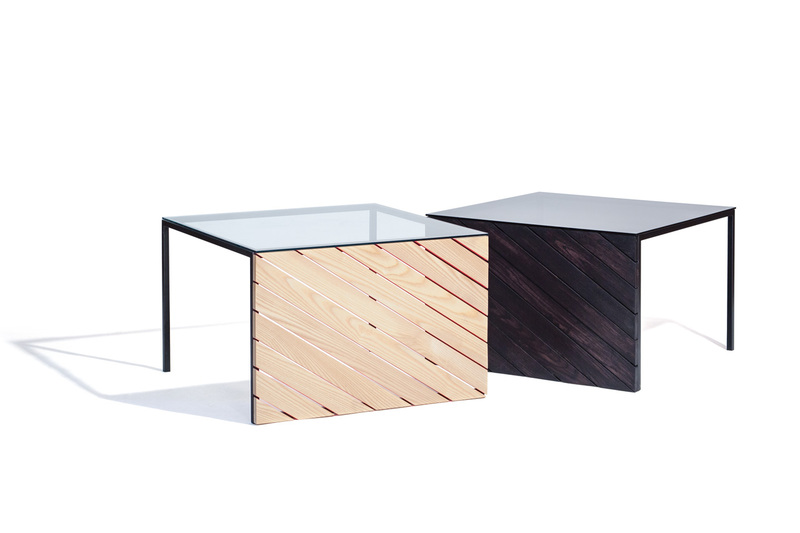 With one “good side,” this glass-top coffee table is minimalism that demands attention. 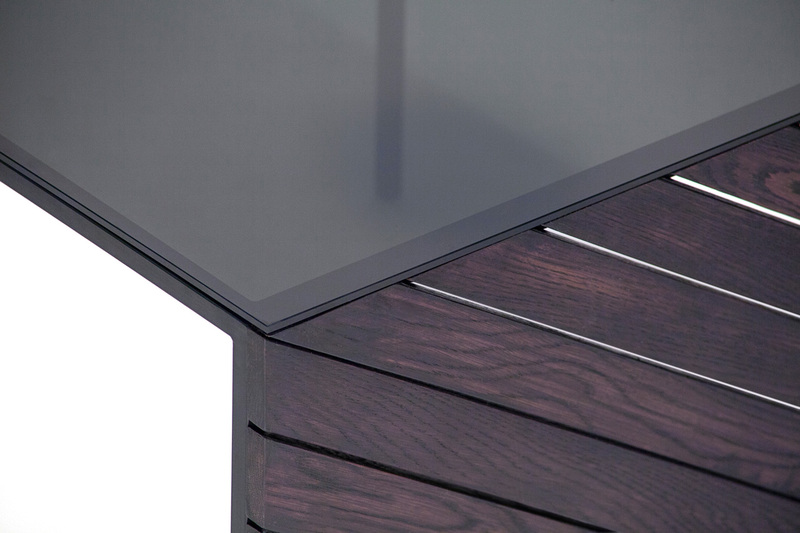 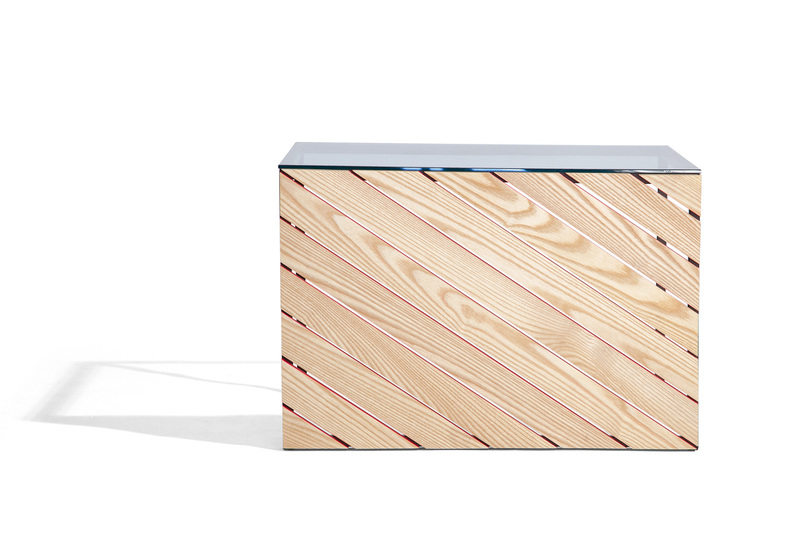 Diagonal ash slats reveal light through the gaps in either bright pink or matte black finishes. 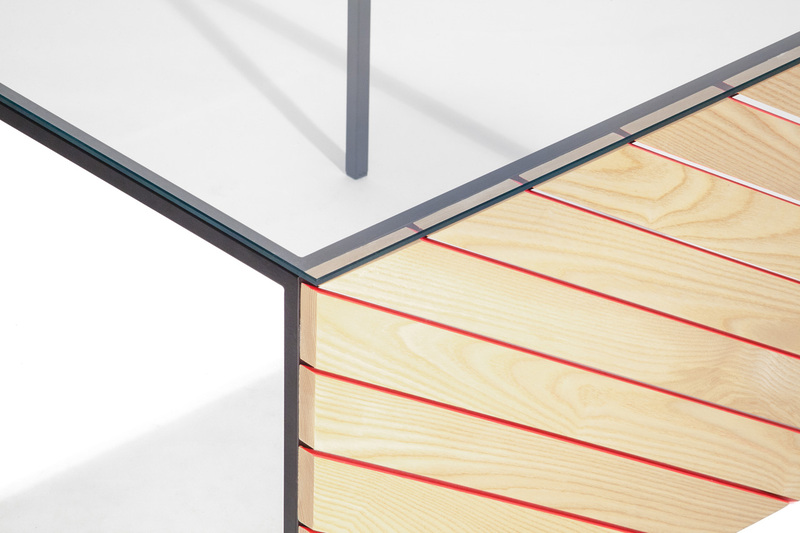 The glass surface gives the slats presence from any angle, lending a custom designed feel to any space it occupies. 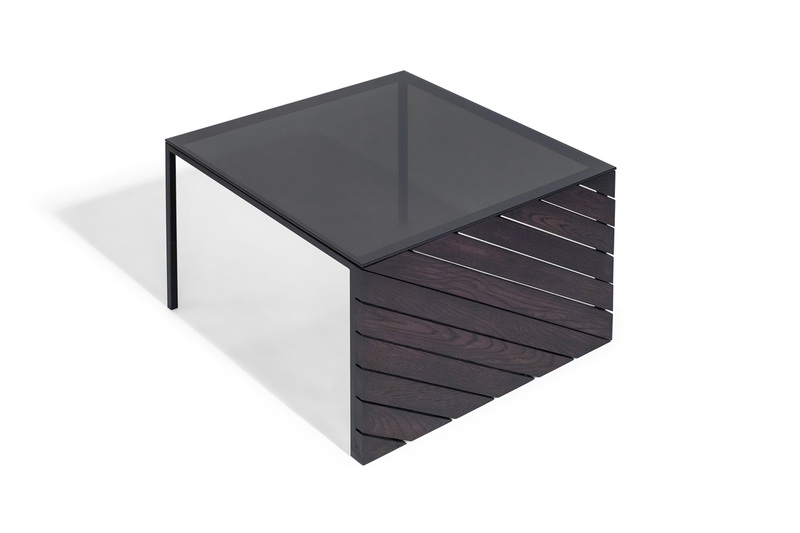 Matte black powder coating, low-VOC oil and beeswax.